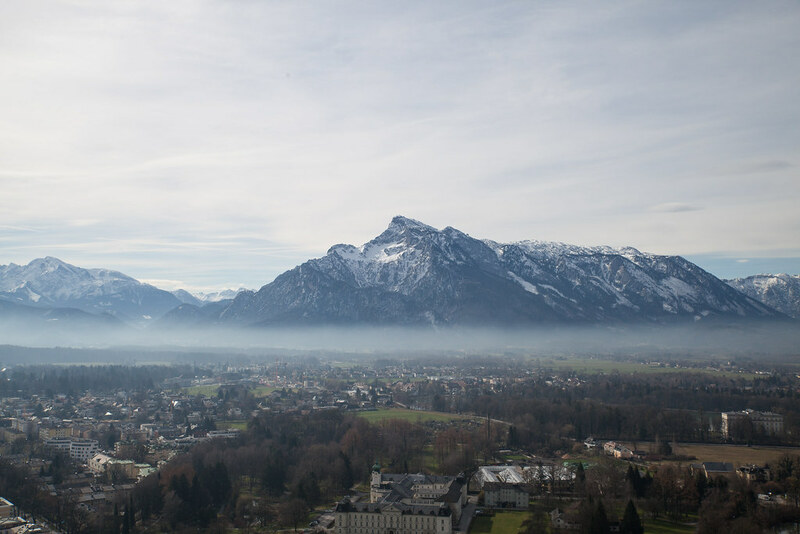 Nestled amongst the snowcapped Alps, Salzburg is a beautiful city and the epitome of Austrian charm. The city itself is easily walk-able in a day and charmingly quaint with its medieval old town and neoclassical architecture. 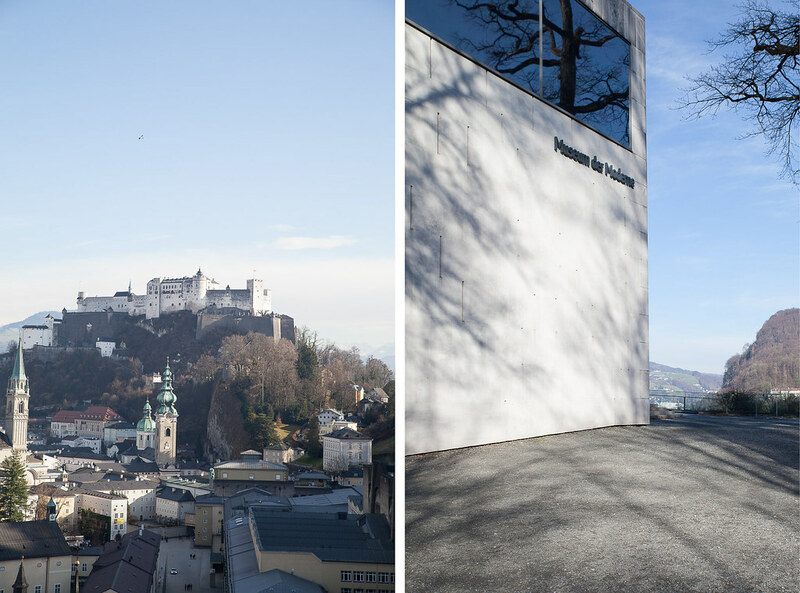 If you’ve a got a couple of days to spend here, use this guide to help you uncover the best that Salzburg has to offer. Catching the funicular to the Hohen castle is an exciting experience in itself but the medieval fortress and breathtaking panorama which await at the top are what people really come for. 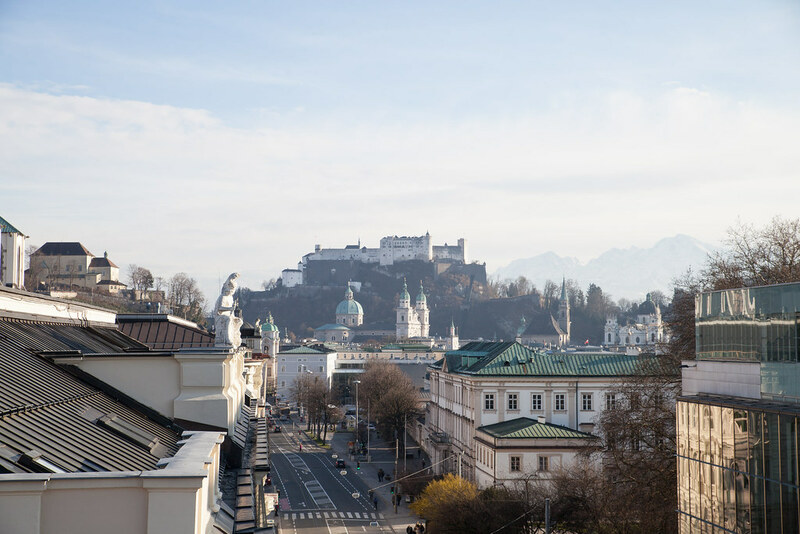 With views over the snowcapped Alps to one side and over the city of Salzburg to the other, it really is one of the most impressive vistas in Salzburg. 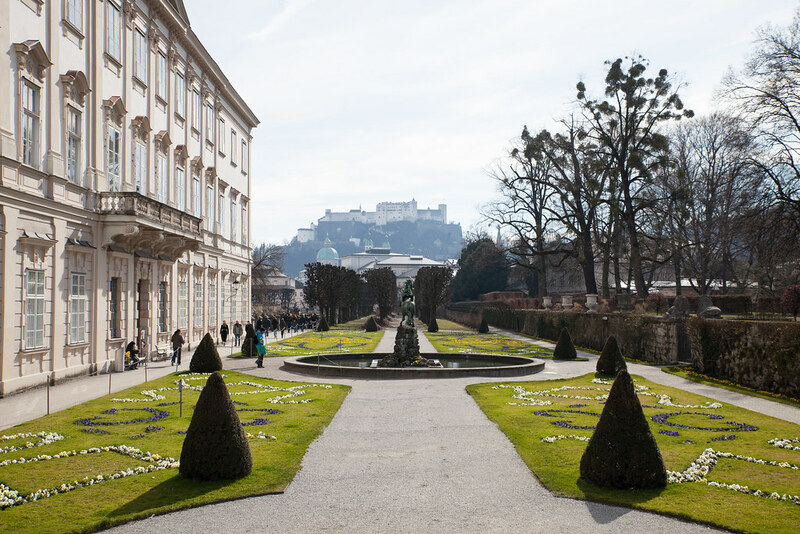 Symbolising the Sound of Music, the Mirabell gardens and the neoclassical palace are a must-visit. The gardens transform from season to season, with the most prolific being in late spring. But no matter the time of year, a stroll through these gardens is a beautiful way to see the city. A little further out from the town center but worth the short walk is the Immauber sky bar. It’s the perfect spot to enjoy an Aperol Spriz al fresco on the sundrenched terrace. Jutting out from a steep cliff lies the Modern Art Museum which is constructed of marble and large panels of glass allowing natural light to flood into the exhibition halls. An invigorating walk to the museum also offers an impressive view facing the Hohen castle, one of Europe’s largest medieval castles. 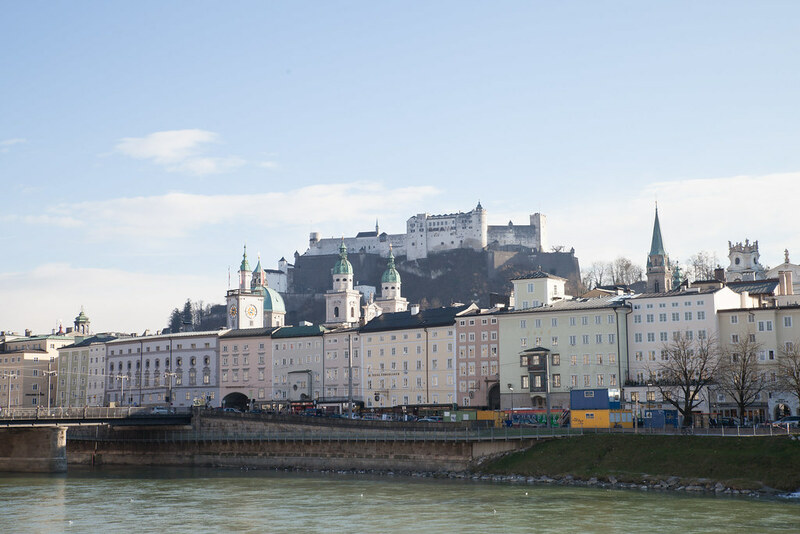 A stroll down the river Salzach is a lovely way to see the city and all of its pastel-hued architecture en route. 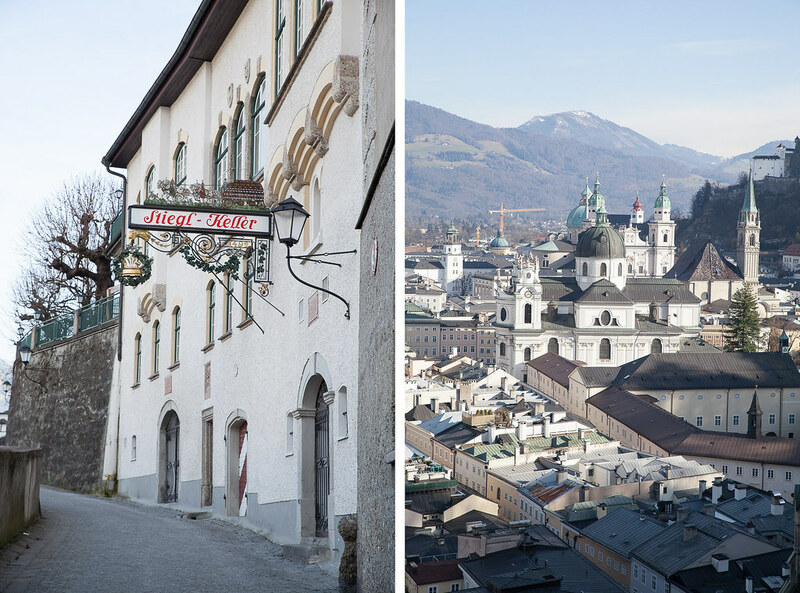 Salzburg has been listed a World Heritage city and it’s little wonder when you consider the Old Town. 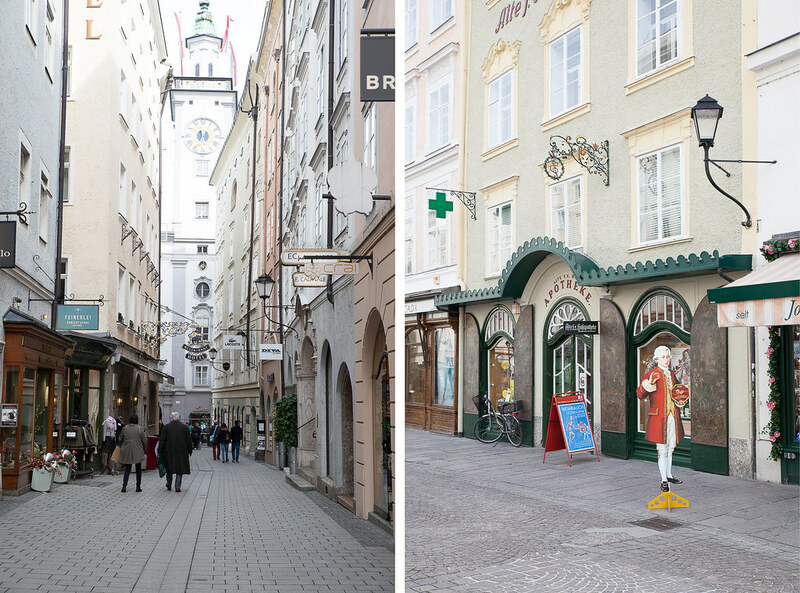 Cobbled back streets are bursting with typical cafes and shops with traditional Austrian signs hanging above them. Cotton-candy hued buildings line the streets and the squares making it a photogenic old town to visit. 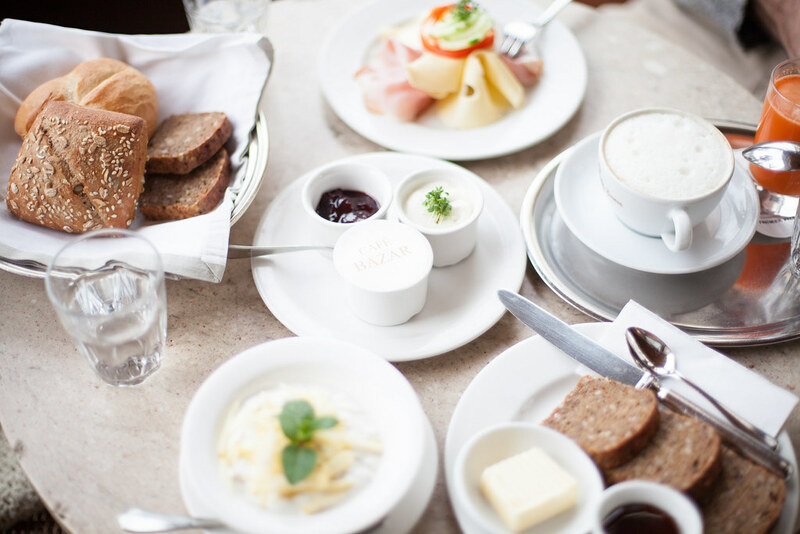 This pastel pink-hued café is the place to come for a traditional Austrian breakfast of ham, cheese, rye bread and Bircher muesli. With a terrace overlooking the river Salzach, it’s the ideal spot on a sunny day and very popular with locals. 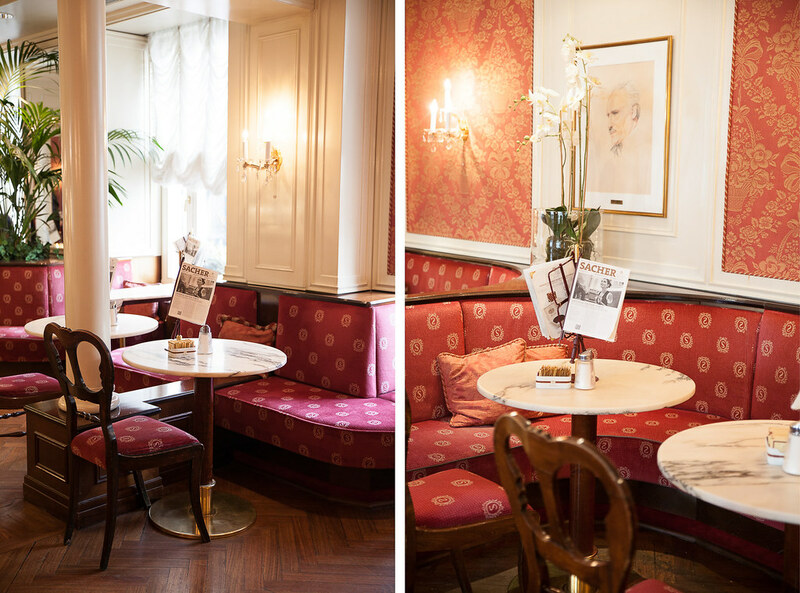 Located inside the iconic Hotel Sacher, cafes don’t come any more traditional than this one. Its interior is one of decadence with raspberry-red damask wallpaper, black and white photos of celebrities and white marble tables. It feels as though stepping back in time with elderly women donning fur hats, newspapers hanging from wooden racks and waiters in bow ties. If you haven’t heard of Dietrich Mateschitz before visiting Austria, then you can count on knowing the name after your visit. The Austrian billionaire is the founder of Red Bull but also a big name in the restaurant scene in Salzburg. Carpe Diem is one of his creations: a slick and stylish restaurant serving gourmet finger food and killer cocktails earning it a chic cult following. 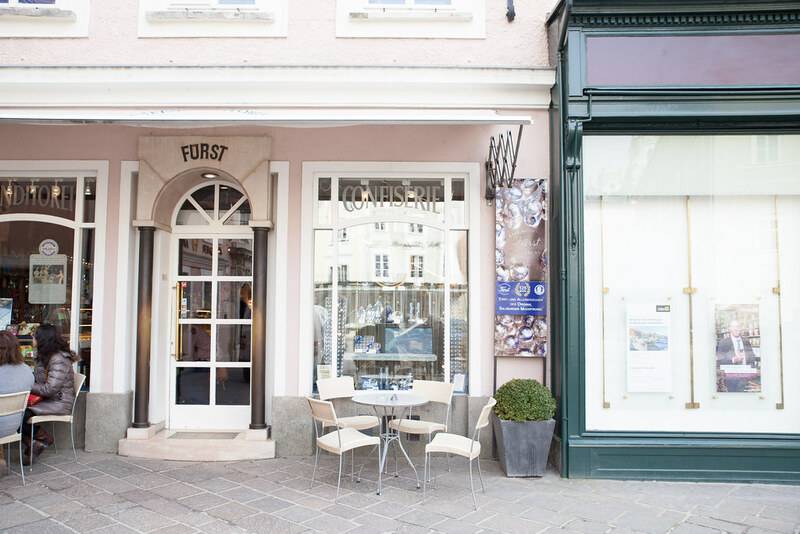 Fürst is the creator of Austria’s most famous chocolate: the Mozartkugel. Located in the heart of the city lies this charming sweet shop selling traditional chocolates and sweets packaged in foil and pretty paper bags. Come the summer months, this beer garden is buzzing with people enjoying the fresh mountain air and mighty pints of beer.